This Heart Pillow Pair is a great gift to remind someone special how much they are loved and to believe in themselves. Beautiful, red, plush heart pillows are perfect with a bear, or all on their own. Complimentary greeting card, add up to a 70 word message. 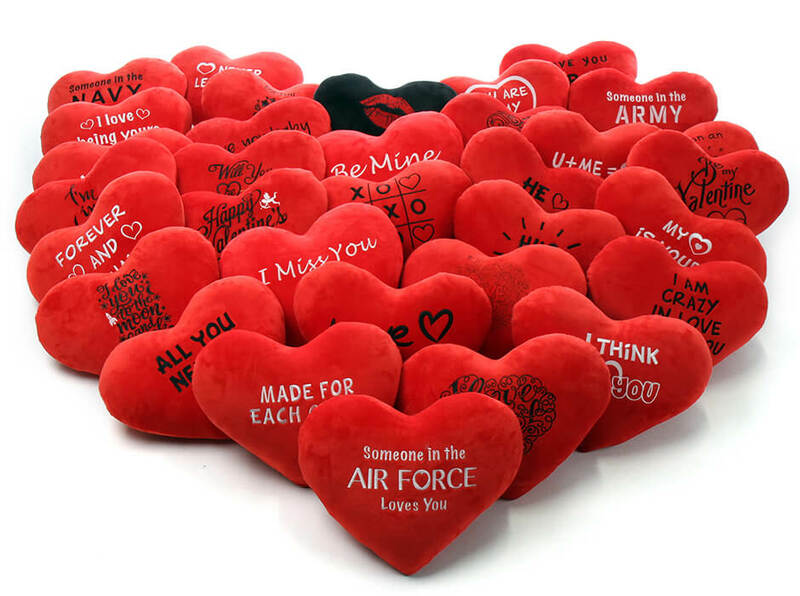 *Note: These personalized greeting heart pillows can be added to any teddy bear order, but does not come with a teddy bear included. However the items may be shipped in a separate box if ordered with a teddy bear.